2011 J.D. Power Performance ratings and awards are based on the feedback of verified car owners who have owned their vehicle for 90 days. This rating includes their opinions of the engine, transmission, driving dynamics, seat comfort, usability of technology, feel of safety and visibility. In terms of overall appeal, Porsche built the highest-ranked vehicles in 2011. J.D. Power names Porsche as the brand that builds the most appealing vehicles in 2011. Generally efficient and affordable, a small car or SUV can be a smart choice in a vehicle. In 2011, these were the top-ranked models in performance and design. J.D. 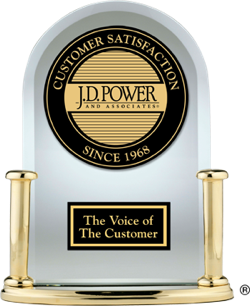 Power measures owner satisfaction with a vehicle's design and performance. For 2011, these are the compact cars and SUVs that are the most appealing. In the Compact Car segment, the high-tech 2011 Chevrolet Volt ranked highest in performance and design. J.D. Power identifies the most appealing models in terms of performance and design. The following midsize cars and SUVs were highest ranked in their respective segments in 2011. The rare 2011 Suzuki Kizashi was ranked highest in the Midsize Car segment in performance and design. In terms of performance and design, the following 2011 large cars and SUVs ranked highest for overall vehicle appeal. The generously equipped 2011 Hyundai Equus was the top-ranked model in the Large Premium Car segment in performance and design. In spite of high consumer demand for tech-related features, increasing government fuel economy and safety standards, and ever-changing market conditions, auto manufacturers are managing to design and build vehicles that owners find appealing.